A peaceful night’s sleep is a precious thing — just ask new parents or anyone that can’t get sleep and they will tell you the value of restful sleep. Studies show that sleep is essential to maintaining basic human functions; we actually go through five stages of sleep multiple times per night. Unfortunately for some, the very sleep that is so important to us may also be threatening their lives as sleep apnea affects an estimated 18 million Americans. Sleep apnea is a sleep disorder where the individual’s airway becomes restricted, resulting in lapses in breath that are referred to as apneas. These lapses in breath can last for a few seconds or even a few minutes with many sufferers experiencing 30 or more apneas every hour. Thankfully, the brain is able to detect a lack of oxygen and sends a signal to allow the individual to resume normal respiratory function, so sleep apnea will not cause one to suffocate in their sleep. Sleep apnea is nearly twice as common in men than it is in women and those with asthma may be at an increased risk for developing sleep apnea — of course, other factors including weight and genetics can also play a role. It is estimated that 2 to 4% of all Americans suffer from an undiagnosed case of sleep apnea; not only can this get in the way of getting a good night’s sleep as undiagnosed sleep apnea has the potential to kill. The biggest danger from undiagnosed cases of sleep apnea is the development of a number of significant cardiovascular issues. The blood stream carries oxygen throughout the body, those with undiagnosed sleep apnea are unable to provide the body with the oxygen it needs throughout the night — over time this can lead to several issues. Untreated sleep apnea sufferers have a risk of stroke that is four times more likely than non-sufferers. Those with untreated sleep apnea are three times as likely to develop heart disease and are at an increased risk for developing high blood pressure and similar conditions. A study performed by the National Commission on Sleep Disorders Research found that around 38,000 deaths occur on an annual basis that is directly related to cardiovascular problems that are linked to sleep apnea. 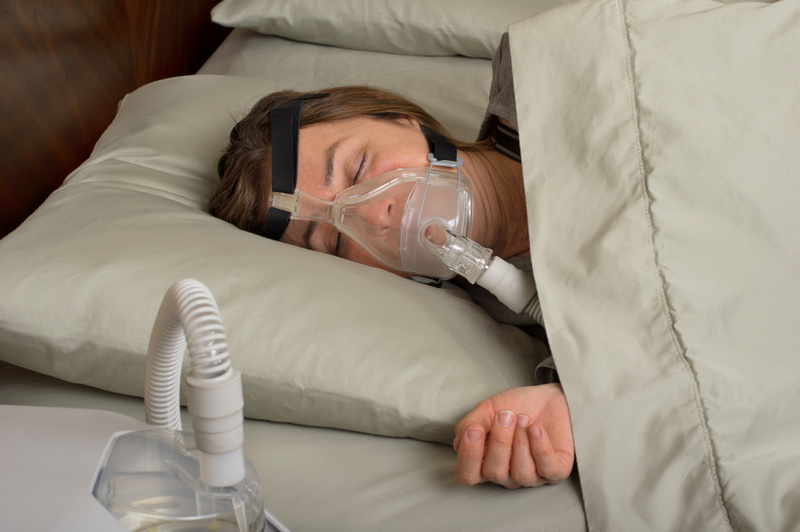 The most common treatment for sleep apnea is the prescription of a ResMed CPAP machine. ResMed CPAP machines provide patients with a constant flow of air that helps keep the patient’s airway unobstructed throughout the night, allowing the patient to sleep safely and soundly throughout the night. Unfortunately, around 80% of sleep apnea patients claim that they do not use their ResMed CPAP machines enough to keep them safe throughout the night; it is recommended that patients use their machines at least 70% of the time over a 30 day period. Many patients feel that the continuous pressure or the nasal pillows are uncomfortable and make it difficult to sleep. In addition to CPAP machines there are also BiPAP machines. BiPAP machines offer two levels of air flow that make it easier for patients to take breaths and exhale — many CPAP users find it difficult to exhale with a constant stream of air pressure. There are also a number of nasal pillows and masks so any patient will be able to find a treatment that protects them throughout the night while allowing them to sleep comfortably.